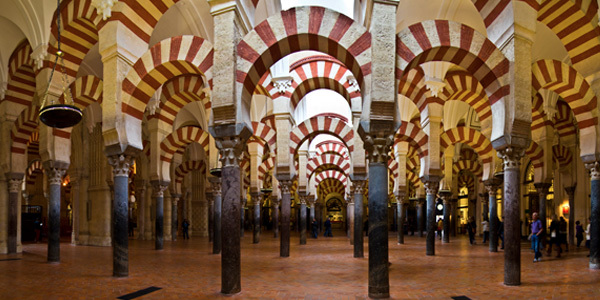 La Mezquita de Córdoba (the Great Mosque of Córdoba) is a prime example of Moorish architecture at it’s best. It is a historical monument of brillianty developed architecture. Nowadays it is no longer used as a Mosque but a Catholic Cathedral. The building itself has expanded over the last 200 years. It boasts of extraordinary history that shaped it into the fantastic building it is. Some historians say that it had first been a Temple in honor to f Roman god ‘Janus’, which was then converted into a church in 572 by the invaders, the Visigoths. Then again converted into a Mosque by the Umayyads, the first Islamic dynasty who had originally ruled from their capital Damascus (in present-day Syria) from 661 until 750. Note the intricate detail and carving of the arches and ceilings, they are even more impressive in real life. 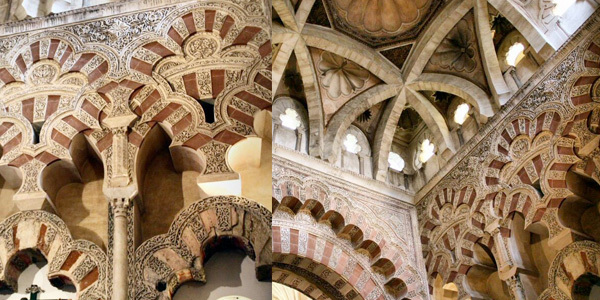 Despite its multiple changes in role and religion, we are going to focus on the longest period of time when it was a Mosque and how the Moors developed the building into the beauty it is. The Mosque is composed of a large Hypostyle prayer hall (hypostyle means, filled with columns) that was expanded throughout the years. The expansive prayer hall seems magnified by its repeated geometry. It is built with recycled ancient Roman columns from which sprout a striking combination of two-tiered, symmetrical arches, formed of stone and red brick. Then we come to the Mihrab, a shell shaped niche in the wall of a mosque that indicates the qibla; that is, the direction of the Kaaba in Mecca – the direction Muslims should face when praying. This Mihrab is carved from a single block of marble and the chambers on either side are decorated with exquisite Byzantine mosaics of gold. It faces south, in the same as the Damascus mosque, different to the direction of the Mecca, which is south east. 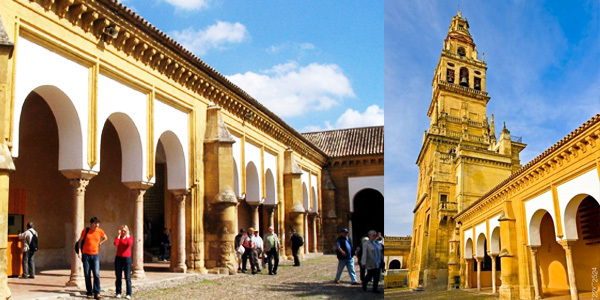 Patio de los Naranjos (patio of the oranges) is a central patio located within the mosque buildings. With open chapel arches facing the courtyard, this outdoor patio functioned as a venue for public activities (administration of justice, education). It has not have many functions since, apart from being the meeting point for guided tours and ticket office. It’s pretty with orange trees and water fountains and ponds. Arches and pillars throughout the Mosque are not only impressive but give a distinctive character to the whole design of the building. A total of 850 coloured granite jasper and marble pillars can be found in this Mosque, which, with streams of sunlight create lovely effects. King Ferdinan III of Castilla la Mancha conquered Córdoba in 1236 in the ‘Reconquista’. 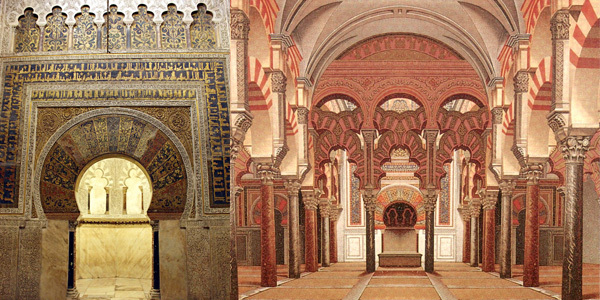 Hence being invaded by a Catholic king, the mosque was not and could not remain a mosque. The beauty of the mosque was undeniable, perhaps the reason by they did not demolish the mosque but simply converted it into a church, which was built in the centre of the mosque. 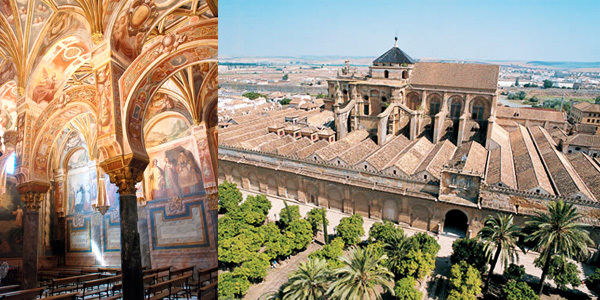 This said, any relation or sound of the word ‘mezquita’ was related to evil hence why the church, still today, insists that we call it the Great Cathedral of Córdoba. If you visit this ‘cathedral’ you will notice that any brochure you read will state that is it a cathedral with an ‘Islamic intervention’ inside. However, because of it’s rich historical background, it has been hard to convince everybody and is still today talked about as the Mosque that is used to be. On the walls of the buildings you can see different legends and stories drawn and illustrated, each telling their story. What makes this mosque-turned-church is just that, it has preserved different stories from different religions. 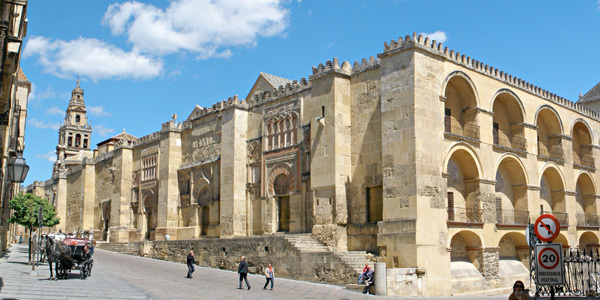 Today the Mezquita as it is known can be visited throughout the year for 6 Euro entrance fee. 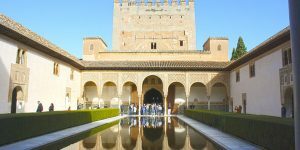 The approach is via the Patio de los Naranjos, a classic Islamic ablutions courtyard which preserves both its orange trees and fountains. When the mosque was used for Muslim prayer, all nineteen naves were open to this courtyard allowing the rows of interior columns to appear like an extension of the tree with brilliant shafts of sunlight filtering through. 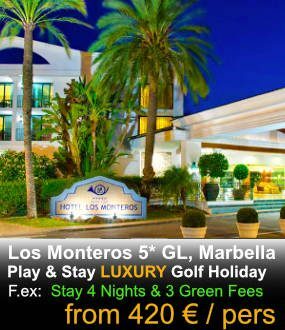 November – February: Monday to Saturday, 8:30-18:00 h.
Sundays and festive days, 8:30-11:30h. 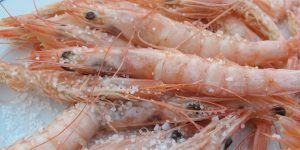 y 15:00-18:00 h.
March – October: Monday to Saturday, 10.00-19:00 h.
Sundays and festive days, 8:30-11:30h. 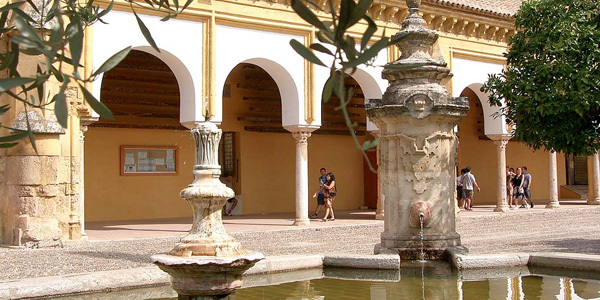 y 15:00-19:00 h.
You can purchase your tickets inside the pretty Patio de los Naranjos (Courtyard of the Orange Trees), from where a door leads inside the building itself. Mass is held at 11am, noon and 1pm on weekdays. 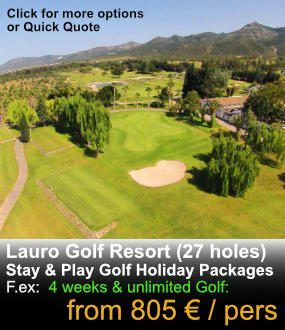 Entrance is free from 8.30am to 10am Monday to Saturday, 8.00 € on at other times and groups are not admitted. Weekday morning visits are perfect for appreciating the Mezquita in peace and quiet. 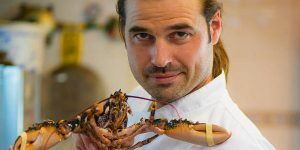 We are not responsible for any date, time, price or detail change of any event mentioned in this article. 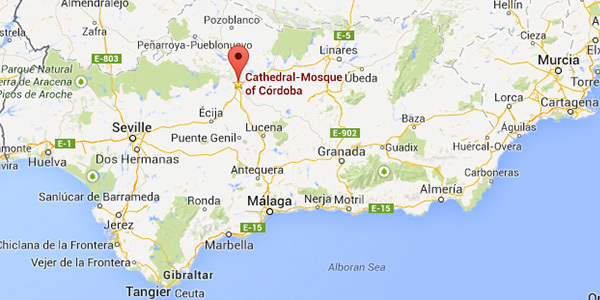 Below is a map marking where the Great Mosque of Córdoba is. 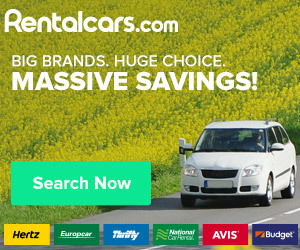 Click on the map to take you to the live Google Map where you can enter your current exact location and plan your trip accordingly. PrevPreviousThe Alhambra in Granada, "a pearl set in emeralds"